Ever hear stories in the break room about how difficult it is to get a mortgage? "I have to jump through so many hoops to get my mortgage, it's ridiculous. They keep asking me for financial information, I swear I already gave it to them." Reality check: Obtaining a mortgage is no easy feat these days, no matter how great your credit score is or how good your lender is. By understanding the loan process, however, you can make sure you don't have to jump through hoops, and more importantly, that your loan closes on time. The Nature of Mortgage Lending: Lenders have to meet tight federal requirements on your ability to repay. This includes a thorough review and examination of your credit, debt, income and assets, as well as the property and occupancy of the home in which you plan to be financing. Furthermore, lenders operate in a world in which they usually only have a one-time chance to make how you look on paper favorable to the decision-maker, i.e. the underwriter, the person within the mortgage company who issues an approval. Know this: The role of the lender's underwriter is to mitigate risk for the mortgage company. 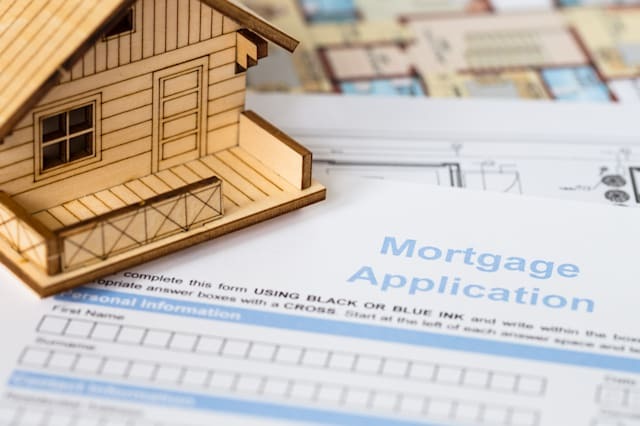 They carry out this objective by making sure your full financial picture adheres to Fannie Mae and Freddie Mac guidelines, which serve as the model for other lenders and loan programs. The reason you'll often hear stories about all the hoops to jump through is because the loan officer did not properly set the borrower's expectations at the forefront of the loan process -- and/or the loan was not put together correctly. Remember, it's very difficult to create a second first impression -- if your loan officer did not properly package the loan for the underwriter to thoroughly examine and subsequently sign off, then you may have a cumbersome process. That's if the loan can be approved. Underwriter issues a disposition - a new loan status, approved with conditions, or at times a suspense. Obstacles in the Path: When a loan status changes from pending to approved with conditions or suspense, the process is the same: There are conditions the underwriter needs fulfilled (such as missing documents or explanations needed) to issue a final loan approval. The reality is when the condition is provided, and that condition does not fully meet the original condition the underwriter%VIRTUAL-pullquote-If your loan process has dragged on too long and you're being continually asked for more and more documentation, something is not adding up.% had placed on the loan, that can become problematic because every time new documentation is given to an underwriter, that could -- and oftentimes does -- create more conditions. Let's say the underwriter is trying to document sufficient reserves for the program to which you applied, but you provided only three pages of a five-page bank statement. The underwriter then conditions for the additional missing pages of the bank statement. Then let's say the additional missing pages of the bank statement show multiple large cash deposits and subsequent funds transfers. The underwriter then adds another condition for each deposit and transfer to be sourced and paper-trailed. Every time a document is provided to the lender's underwriter, there is always the possibility that it will create more questions. How to Fix a Runaway Loan Process: So what if your loan process has gotten out of hand? Simply start over. It actually can be that simple. If your loan process has dragged on too long and you're being continually asked for more and more documentation, something is not adding up. (Refinances usually take 30-45 days, depending on the nature of your financial picture and whatever your lender's operational workflow is like. Purchase loans usually take about 30 days, although sometimes longer depending on contractual dates.) By canceling the process on a loan for which the financial information has changed so much to the point that it becomes a runaway financial freight train, then canceling the loan and starting over with fresh clean documentation is a quick and easy way to wrap up your loan with less headache. Scott Sheldon is a senior loan officer and consumer advocate based in Santa Rosa, Cali. His work has appeared in Yahoo! Homes, CNN Money, MarketWatch and The Wall Street Journal. Connect with him at Sonoma County Mortgages.